Participating in trade shows is vital for business growth, especially in the Doral business region of Miami. It is an important business activity that allows the business to get more exposure and build new relationships. At tradeshow displays Miami, business executives and managers get to interact with customers and share their experiences. It gives an opportunity to introduce new products and gauge the responses of customers right away. Tradeshows also help businesses to observe what their competitors are doing so that they can build more competitive strategies. Another significant benefit is that it helps to identify new suppliers, distributors, and agents to save costs of the business. The key to successful tradeshow participation is to come prepared with strategies to deeply engage the visitors. Every one of the hundreds of participants at the trade fair is competing for the same set of visitors. 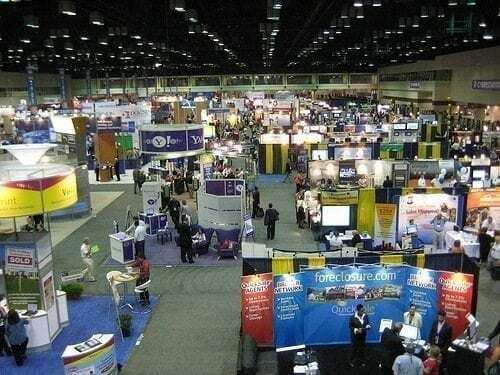 Having good tradeshow displays Miami can help you attract more visitors to your stall. Some organizers would even allow you to use a microphone system to call out to visitors; however, this does not always happen. In addition to attractive expo displays where you showcase your successful and upcoming products for visitors to experience, you can also offer promotional gifts. Many visitors attend tradeshow stalls simply to pick up the gifts that are offered. Often, businesses compete with one another on the quality of their promotional merchandise. A good promotional idea is to give out corporate apparel such as t-shirts and caps. These apparels are usually customized with the name of the business so that brand loyalty is developed and the business gets more exposure in the community. Tradeshow promo products also include customized pens and other stationery with the business name and logo printed on them. Mouse pads and mobile phone pouches also make perfect promotional products. You can also organize a contest at your tradeshow booths and offer some exciting prizes. When visitors participate in contests at your stall, they become emotionally engaged and mentally stimulated, which helps to create a strong relationship with prospective customers. An easy yet less interesting alternative would be to hold a lucky draw. The advantage of holding a lucky draw instead of a contest is that a larger number of people can participate within a short period of time. Some other ideas for good promotional products include custom table covers and key chains. Whatever gifts you use, it is more important to be courteous and friendly towards those who visit your tradeshow booths. Next Next post: What Makes It a Perfect Tradeshow Booth?